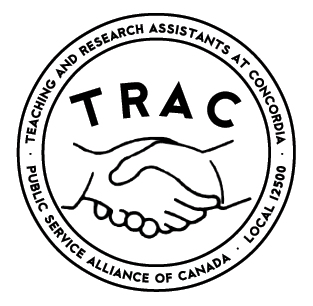 According to documents obtained by The Link, the union for Teaching and Research Assistants at Concordia (TRAC) has been put into trusteeship by its parent union Public Service Alliance of Canada (PSAC). The union’s executive committee has been removed from office as of Jan. 7. Concordia’s teaching and research assistants will now deal directly with PSAC for grievances and other issues regarding their collective agreement, and a special general meeting on the issue will be held before the end of the month. According to a final report of PSAC’s investigation given to The Link, the organization found “evidence of harassment” on the part of TRAC’s president, Nader Jafari Nodoushan, and deemed the executive committee “fully dysfunctional.” The report is also now published on the Concordia union’s website. The investigation was instigated by complaints from TRAC executives Daria Saryan, Isabelle Johnson and Robert Sonin concerning Nodoushan, as well as complaints made by Nodoushan against the complainants. A PSAC report concerning the affair reveals a deep schism within the TRAC leadership, with Saryan, Johnson and Sonin in conflict with Nodoushan and another executive, Gounash Pirnya, on a large number of issues. PSAC representatives contacted by The Link were unable to comment. Nodoushan has also been unavailable for comment.